This project consists of two identical towers, one tower is for Al-Othman Holding Co. Office Tower and the other building is for Kempin­ski Al- Othman Hotel Tower, both are a 20 story building. 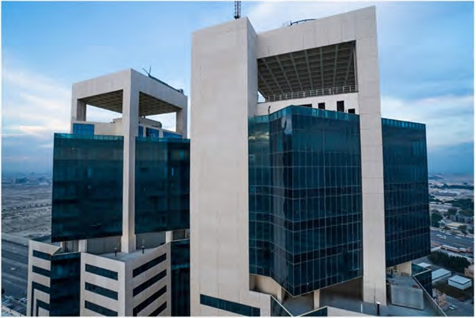 Al- Othman Holding Office Tower has a total of 72 office areas and a private apartment on the 20th floor. 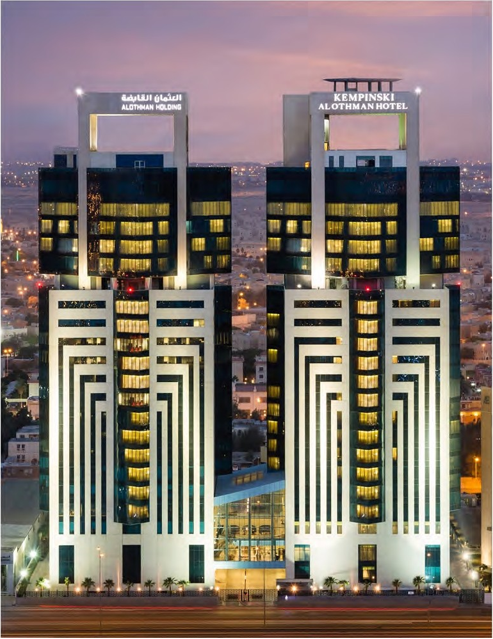 Kempinski Al-Othman Hotel Tower consists of 198 rooms & suites from the second floor to the thirteenth floor as well as from the 15th to the 20th floor and there are 20 apartments.